What food is low in calories, contains high levels of vitamin B and C, and has zero cholesterol? Okay, if you read the title of this post or looked at the picture, then you know the answer: potatoes! According to the U.S. Department of Agriculture, one medium baked potato contains 941 milligrams of potassium, while one medium banana contains 422. A medium, skin-on baked potato has about 160 calories and no fat, plus a little bit of protein (4 grams) that, combined with their fiber, contributes to their ability to keep us full and satisfied (more so than other carbs like pasta, for example). The problem is not the potatoes, but how we are eating them. 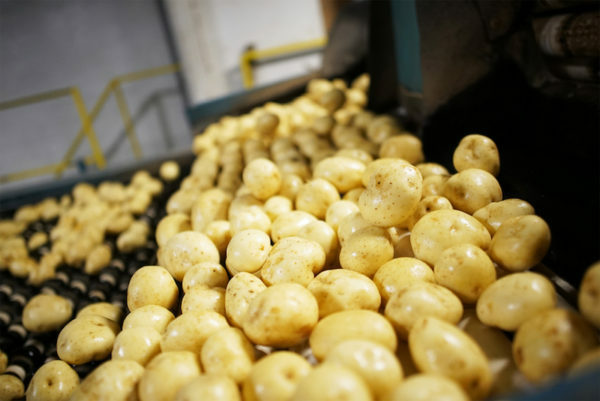 Processed, fried potato products like French fries and hash browns aren’t the best that a potato can be— not by a long shot. Similarly, when we load a baked potato with high fat and high-calorie toppings like cheese or cheese sauce, bacon pieces, and generous dollops of butter and sour cream, we are just bumping up the fat, calories and sodium content of what was otherwise a perfectly healthful vegetable. So how do we do potatoes in a healthy— but still delicious— way? 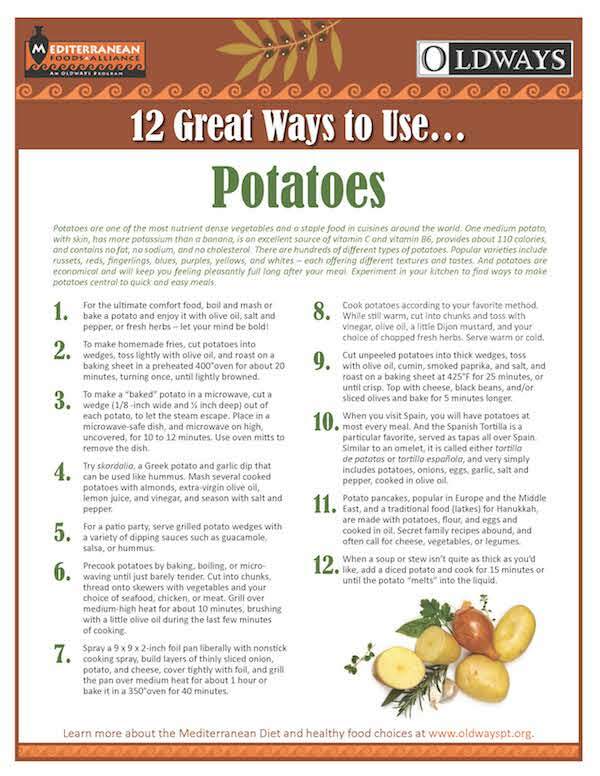 To keep your humble potato a healthy part of your meal, consider different toppings, such as salsa, or a spritz of olive oil and a sprinkling of pepper, smoked paprika or your favorite seasoning blend. Or roast your potatoes— toss diced potatoes with a little olive oil and crushed rosemary, garlic and salt (you can even microwave them, in a pinch). Can low-carb diets include potatoes? Potatoes are a starchy vegetable, so if you’re watching your carbohydrate intake, they can be tricky to work into your eating plan (just like other starchy veggies such as corn and squash). Portion control is key. Buying smaller potatoes and/or sharing with another diner is helpful in this regard. If you’ve been avoiding potatoes (or, conversely, eating way too many fried potatoes), now may be the time to re-think the unassuming spud. Pay attention to portion size and try something new.